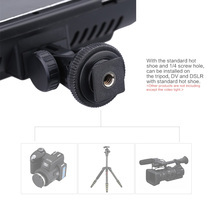 The power adapter and battery are not included. 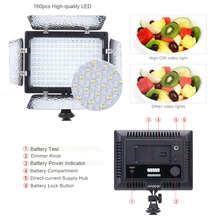 Designed with 160pcs LED, high brightness. 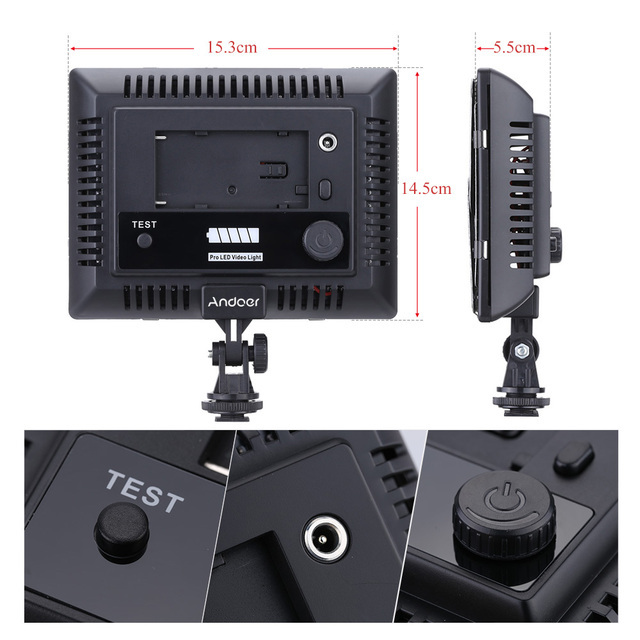 Supporting external direct-current power input and battery powered, more choices and longer working time. 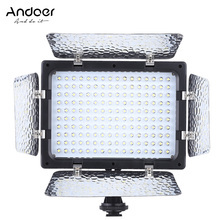 The W160 LED video light will help you get photos and video with more natural color. High brightness with 160pcs high-quality LED beads and efficient reflector design. 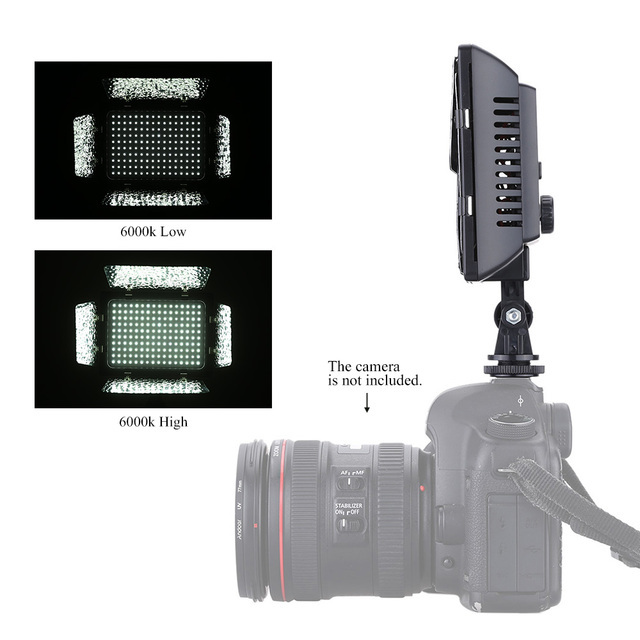 Brightness is adjustable, satisfies your different demands of light. 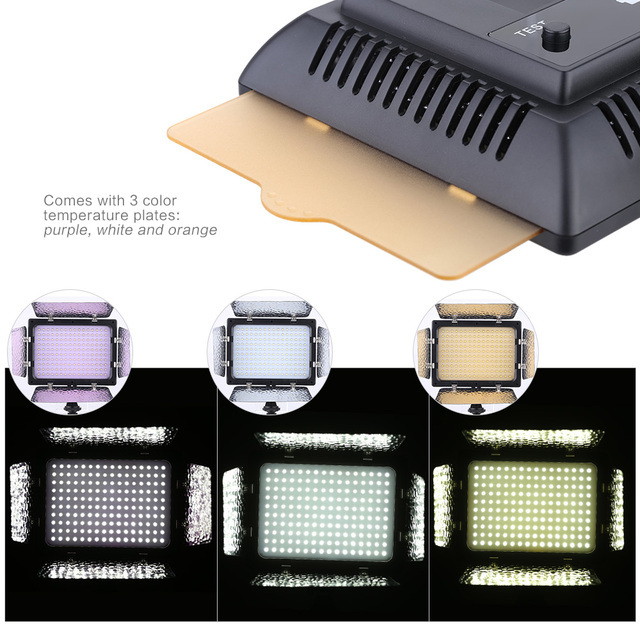 Adopts the latest LED driving technology, effectively improve the conversion efficiency, 6000K color temperature. 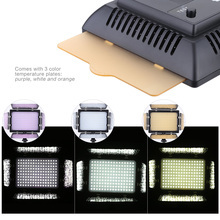 Comes with 3 color temperature plates: purple, white and orange, providing you more choices of different color temperature. Standard hot shoe and 1/4″ screw hole design, can be installed on the camera, DV and DSLR.